Summary : You'll find solid bar pies and this reasonably priced Jersey institution. It's been around for more than a half century and the decor would lead you to believe nothing else. I spent the first part of Thanksgiving weekend in Marlboro, New Jersey. And after having such a great experience eating pizza in Jersey over the summer (A Mano in Ridgewood, Ah’ Pizz in Montclair, Star Tavern in Orange, and Santillo’s in Elizabeth), I was excited to try a legendary pizza place just a short ride from where I was spending the holiday: Federici’s (14 East Main Street) in Freehold. From the moment you enter the pizzeria (there’s a back entrance by the parking lot and a front entrance off the town’s main road), you can tell it’s been around for a while. The carpet looks like it’s decades old and the vintage booths make you feel like you’re at a dining hall in the Catskills circa 1960. Nothing, however, appears rundown. It’s not only a classic New Jersey staple… but a classy New Jersey staple. I imagine it was the type of place where men wore suits and women donned fancy dresses around the time that Harry Truman was president. Part of the excitement of dining at Federici’s is using your imagination to think about how the establishment has transformed during it’s 85 year existence. 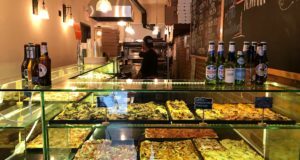 Although a helpful timeline on their website takes away some of the mystery, it’s amazing to fathom that a family run business which started in the early 1900s is still serving pizza today. Once you take that first oily bite of their thin crust pies, however, it’s clear why they’ve been around for so long. Pies come in three sizes: individual ($6.95), small ($9.95), and large ($12.95). Since I knew the crust was thin, my girlfriend and I decided to order two small pies — one “plain” and one with mushrooms and onions. They were more filling than anticipated. In fact, unless you’re really hungry, it’s tough to finish a small pie on your own. The plain pie was better than the one with toppings. Each pie was evenly cooked all around (as you’ll notice, thin bar pies don’t have much crust around the outside) and held together well. 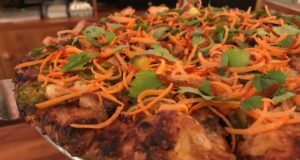 The pies weren’t quite as tasty as those at Star Tavern – an hour drive north of Federici’s – but definitely in the same league. 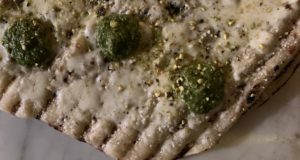 I noticed that the bottom of the crust had properties I’m not sure I’ve seen before. It appears as if the dough was holey when placed in the oven which resulted in an interesting consistency. There were no signs of flour or cornmeal being used either. As new high quality pizza places open throughout the state, it’s important that establishments like Federici’s remain open and busy. With every bite, diners are tasting a slice of history. 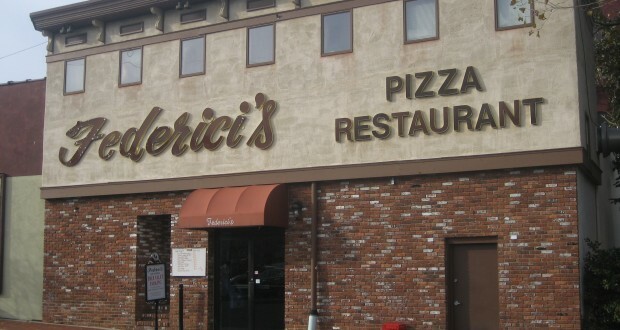 I hope that the children sitting at the table next to us will one day bring their own children to Federici’s for some classic thin crust bar pies at one of New Jersey’s most legendary pizza places.